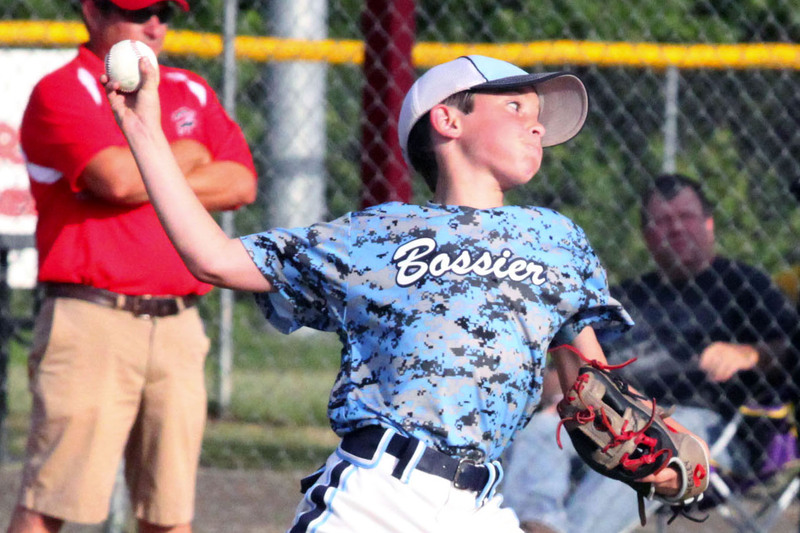 The Bossier All-Stars won the Dixie 9 AAA Region III World Series title with a 4-3 victory over Hudson, Texas, Monday in Longview, Texas. Bossier rallied for the victory, scoring three runs in the bottom of the fourth inning. The game went five. Zach Schoenborn had a two-run homer to tie the game. His homer scored Barrett Newman, who led off the fourth with a walk. Conner Stevens scored what proved to be the winning run. He walked, advanced to second on Chase Rambin’s walk, reached third on a passed ball and scored on an error. Noah McWilliams scored Bossier’s other run in the third inning. He singled, advanced to second on an error, reached third on Gibson Harvill’s grounder and scored on a passed ball. Eli Harper also had a double for Bossier in the game. Rambin pitched a complete game with six strikeouts. Bossier reached the championship game with a 15-6 victory over Laurel, Miss., earlier Monday, avenging its only loss in the tournament. Bossier rallied from a 6-3 deficit with 12 runs in the fourth inning. Kenner Lauterbach went 3-for-3 with two doubles and two RBIs. Wesley Gardner went 2-for-3 with a double and two RBIs. Rambin had a triple and three RBIs. Newman had a triple and an RBI. Harper singled, walked twice and drove in two runs. Gardner pitched a three-hitter with six strikeouts. Bossier finished 5-1 in the tournament. Other team members who contributed to the title were Clayton Brandon, Riley Sitter and Collin Wiggins.